The series between India and South Africa was dubbed as the Freedom series. There were three T20’s, five ODI’s and four Test matches. India surrendered the T20’s and ODI’s series to South Africa without much of a fuss. Then came the test matches, letting SA score 400+ in the fifth ODI was a disaster. Of course Indian bowlers was sidelined and they took some time so that the horrors of the beating SA Batsmen inflicted can subside. India lost the game and stage was set for the First Test. Now the SA willow hunter became the prey. As we saw in Mohali Test SA Batsmen were bamboozled. The so called ordinary spin attack which put SA mighty batting to shame over and over again. Throughout the innings we saw SA Batsmen dancing down the track & failing to dominate Indian Spinners. The only batsmen who took the fight to Indians was ABD. He is a great ambassador of the game and Indian crowd envy him as one of the best batsman there is. Everyone can remember the whole Bangalore stadium cheering him up, when he came out to bat. Indian batting was not that great either, SA spinners also kept things under control. Imran Tahir was brilliant in the first two Test. As the time went by, Indians got accustomed to the SA Spinners and started scoring runs. The first three test were low scoring games out of which Bangalore test was washed-out due to the rain. 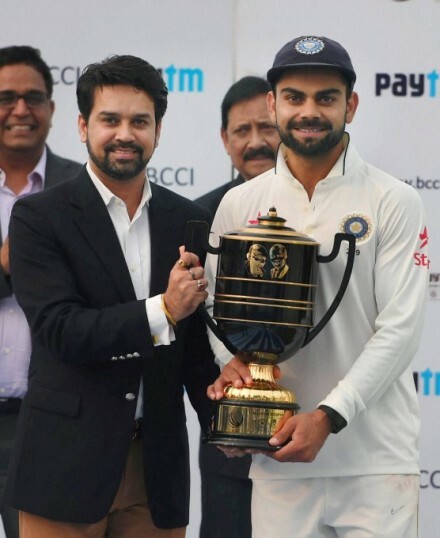 India was ready to play the last and final test of the series. That’s where blockathon Test was unfolding. After Rahane scored the first hundred of the Freedom series. Recently, the cricketing legend Brian Charles Lara registered his dismay on the tactics followed by Proteas. Lara pointed out that if the teams start blocking everything; It will damage the sport. We all saw how boring it was on the fourth and fifth day. Amla took almost 40 balls to score his first run. In the second innings they came with one goal in mind, which was to block the every ball tossed to them. This was as if the South Africans army had ran out of the ammunition and now they are waiting for Indian army to run out of ammunition so that both armies can sign a mutual ceasefire. Before the tea, It seemed the very obvious outcome. Indian bowlers kept fighting but it was a hopeless situation. Once Ashwin got through the defense of AB de Villiers; the looming victory was attainable. Umesh Yadav was precise, fast, hostile and accurate as he wiped out the South Africa’s tailenders who were trying hard to put up some resistance. Morne Morkel was one of the best fast bowlers in this series; he used the pace, length and bounce to exploit the Indian Top order. The biggest disappointment for India was Rohit Sharama. The so called, talented cricketer failed to impress at all. He failed to score runs consistently, the consistency to throw his wicket away was paramount. At this point, we should start looking for a better cricketer who may not have that much of the talent but is eager to learn from his mistakes. I am sure most of Indian critics would agree that Rohit needs to prove his mettle before he could be reintegrated in team India.